Randy has years of experience dealing with all sorts of hydraulic repairs on farm and industrial equipment. Occasionally these hydraulic cylinders need to be rebuilt because of leaking seals around the piston rod. Having a repair shop do this for you can run into quite a bit of money and also cause a long wait while the hydraulic cylinders are being rebuilt for you. 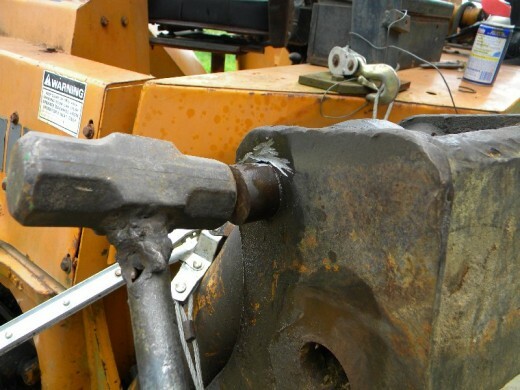 This article is intended to help you rebuild and repair the backhoe hydraulic cylinders on your particular machine. 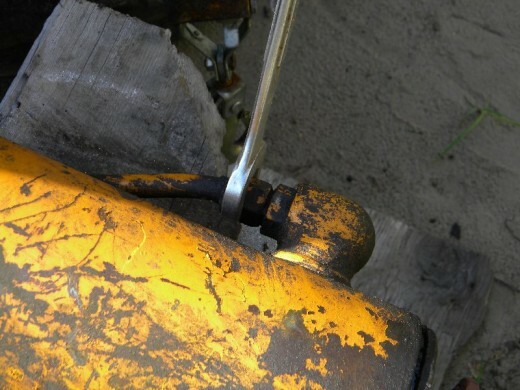 Even if you are not experienced in this type of hydraulic repair, this article will guide you through the steps needed to rebuild the backhoe hydraulic cylinders yourself. Finding the correct hydraulic cylinder building kit is the first step in the rebuilding process. Some backhoes and front end loaders may use several different makes of hydraulic cylinders to perform the same function on your particular machine. The Case 580C backhoe being repaired in this article is a prime example of such an instance and is therefore a perfect example for explaining the hydraulic cylinder rebuild process. The Case 580C backhoe stabilizing jack being repaired listed two different rebuild kits for the hydraulic cylinder used to work the jacks. 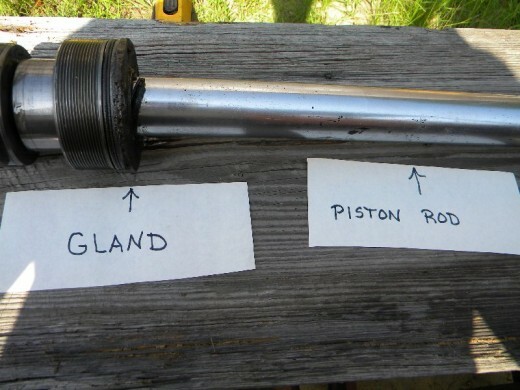 One has a one piece piston while the other used a two piece piston. It is very important to get the right hydraulic cylinder rebuild kit before starting the repair job. Once you disassemble the hydraulic cylinder you do not want to wait for the correct kit to arrive. The correct part number is usually stamped into the gland of the hydraulic cylinder. Getting the correct rebuild kit should pose no problem if this part number can be found intact and readable. Even if you can only read some of the numbers the right rebuild kit can usually be found. You may find this kit online or through a tractor dealership. 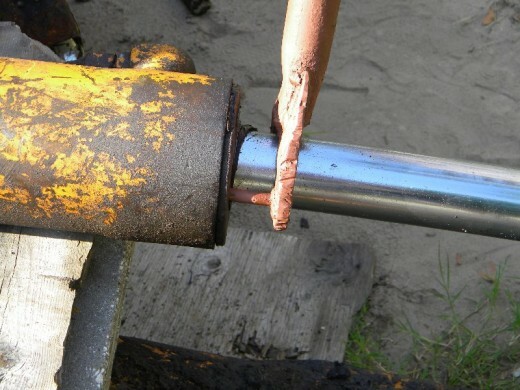 Safety is an important factor in rebuilding hydraulic cylinders, so be careful and do not hurry the job. Always take time to study the parts you remove if you don't have a schematic of the parts. Take a photo if possible before each step to avoid confusion during the reassembly process. 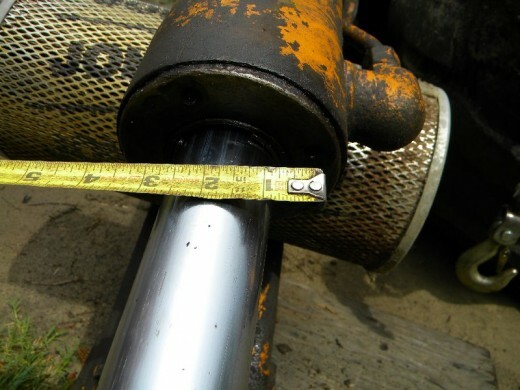 After removing the yoke from the stabilizing jack stand by pulling the retaining pins, drop the jack to the ground and place a board or some other non metal object beneath the cylinder to keep it steady and to prevent dirt from getting on the parts. 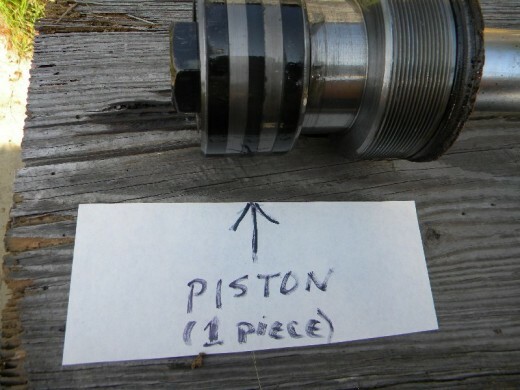 It is important to not scratch the piston rod or other parts of the assembly. 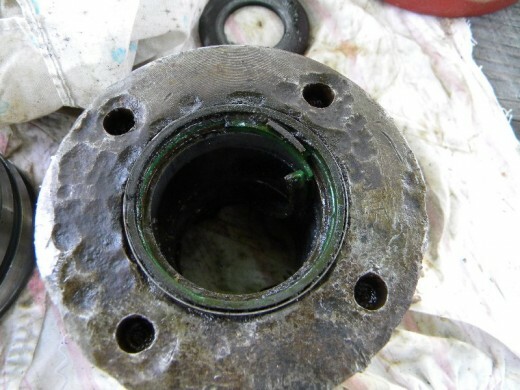 A marred piston rod will cause the new seals to wear quickly. The gland on this particular hydraulic cylinder uses a common four hole system for removing and replacing the gland in the cylinder itself. You may purchase a tool made just for this job, and there are a couple on this page, but since I have the tools and metal I prefer to make my own. Each hydraulic cylinder, or tandem cylinders may use a different size gland removal tool which runs into quite a bit of money if you buy them. By making your own you will eventually have a complete set. I make my gland removal tools from old plow points, case hardened bolts which fit the holes, and a piece of sturdy pipe. An acetylene torch and arc welder is used to shape the tool and weld in the prongs made from the bolts. 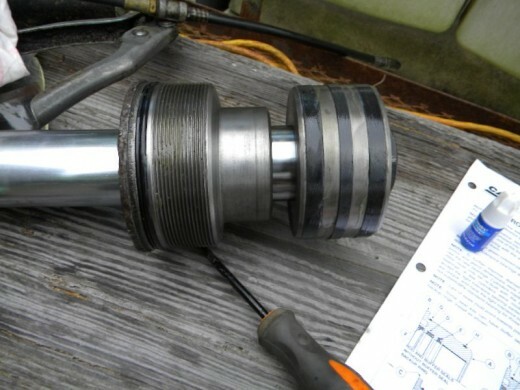 Before attempting to remove the gland, loosen the hydraulic lines to allow fluid pressure to release and prevent a vacuum, making removal of the piston more difficult. After completion of the gland removal tool, it is a simple matter of unscrewing the gland from the cylinder and removing the piston rod from the cylinder itself. Extending the hydraulic cylinder to its full length before removing the gland will save you the trouble of having to pull the piston rod very far to remove it. Use a sturdy point to attach the piston rod yoke to in order to unscrew the retaining bolt from the piston rod. I normally use the original yoke connection if possible. Since a thread locking substance is used to keep the retaining bolt from vibrating loose (a very dangerous occurrence) it may be necessary to heat the end of the retaining bolt before you can get it to break free from the threads. Keep the torch flame away from the piston itself and concentrate it on the center of the bolt. With the retaining bolt removed the piston and gland should separate from the piston rod easily. 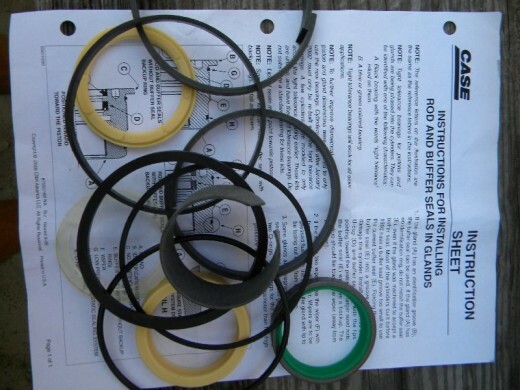 Place these pieces on a clean surface at a comfortable working height and check the seals from the hydraulic cylinder rebuild kit to ensure they are the correct size. It may be helpful to take digital photos as you go to ensure the correct replacement of the new seals. For easy removal of Hydraulic cylinder Glands. 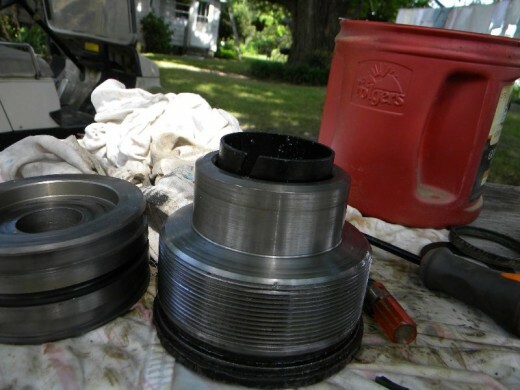 After removing the old seals be sure to clean the piston and gland as best you can before installing the new seals. Any grit or sand may damage the new seals. Be careful not to break the rubber or cellulose seals during reassembly. 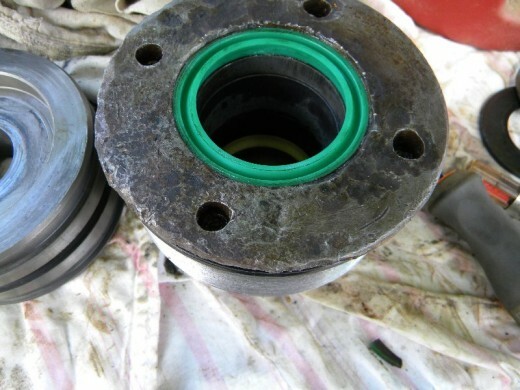 The old piston seal which installs in the gland end ny be inserted by using the old seal to drive it in. In this hydraulic cylinder the retaining bolt washer was the correct size for the purpose and worked well. 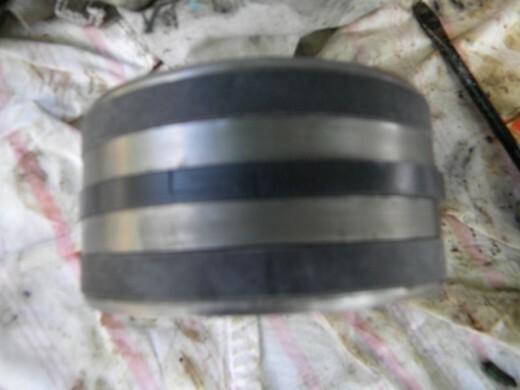 Do not be troubled if there are extra seals which appear to have no place in either the piston or gland. The same kit may be used for several models of hydraulic cylinder and extra parts are often included. Once this part of the process is completed you may reassemble the piston and gland on the piston rod in preparation for the retaining bolt. Clean the threads in the cylinder and lightly grease the piston and gland seals. Clean the retaining bolt threads and the threads inside of the piston rod and then apply a thread locking substance to the threads. Torque the retaining bolt very tightly and insert the piston rod assembly into the cylinder. It may be necessary to tap the gland against the threads in order for the tool to begin engaging the threads. Tighten securely using a lever to ensure the gland is securely attached. Insert the pins in the jack stand and retighten the hydraulic lines. Be sure to attach all retaining clips securely. Operate the cylinder until the air is removed and the hydraulic cylinder is working smoothly. Check for leaks and the job is done. This same technique is used for almost all types of hydraulic cylinders. I hope my article helps you with your hydraulic cylinder rebuilding process. Please feel free to ask any questions you may have in the comment section at the bottom of the page. 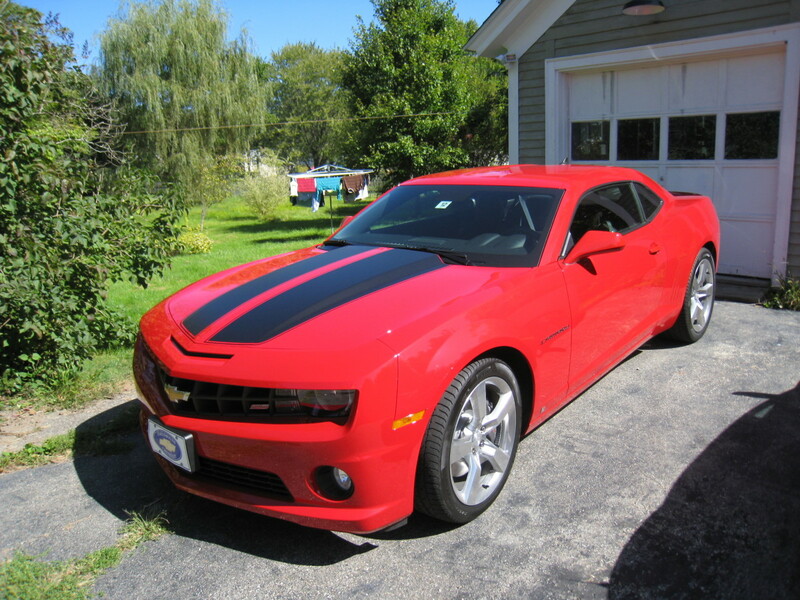 Good luck on your repairs and thanks for reading my article. Ron, I wouldn't be too concerned about the rusted gland nut as it doesn't affect the rings. You'll have to make an educated guess re the rings unless there's a diagram which should come with the new seal. I've ran into the same problem before. I realize I was rattling off at the mouth so I wasn't very clear. Thanks for your response. I ordered another set of seals. Now is the time, rather than when I get it down to my property 190 miles from my shop. 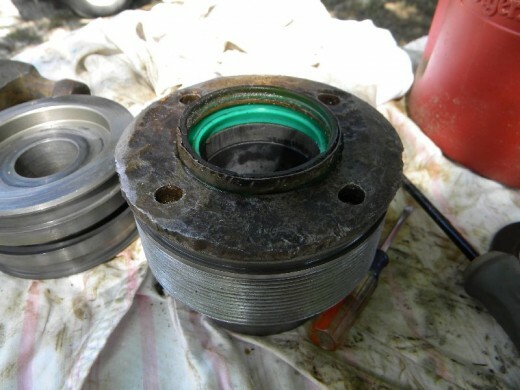 That is why I am replacing the rod on the bucket cylinder even though it is not leaking. The inside of the gland nut is very rusty. I put it in my sonic cleaner, to get as much of the grease, disintegrated seals and other gunk out as I could. I am afraid that if I don't do a good job of cleaning that all out that the new seals will not last long. The problem is that getting inside the gland nut to clean it out properly will be non trivial. I think a Dremel tool with a wire brush could probably work OK, but still hard to do right. I am a little concerned about removing too much material and causing a different source for a leak. I know this last concern just means be careful and don't be stupid. 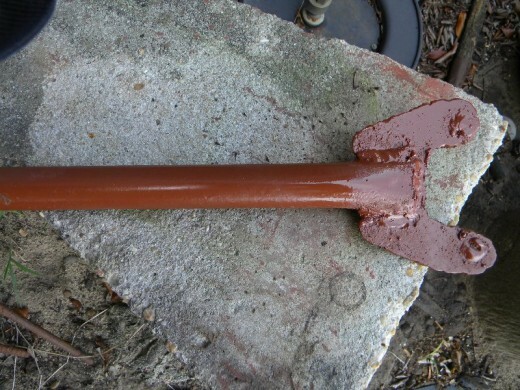 I have read about using electrolysis to remove rust, but have never done it. (Google it if you are interested) This seems like a perfect application for the technique. Since you did not know what I was talking about you probably have no opinion on using it. The remaining question that you could answer is how valid my concern is about getting all the rust off before I put it back together? Another question I did not ask before is if you can confirm how the seals go back into the gland nut. there are two seals that have a little lip and one that does not. the thin one goes to the back of the gland nut with the little lip facing backward. The inner seals were completely deteriorated and came out as mushy pieces. I think the bigger one with the lip comes next and faces backward. The final one is flat except that it has a little half round notch on one side. If I can't find anything definitive, I intend to put it with the notch facing backward on the front side of the second seal from the back. #1--It's up to you, but in my experience the other cylinder doesnt stand the strain of the extra pressure the rebuilt cylinder causes. #2 I don't understand this problem unless you can't remove the gland nut. Clarify? #4--Align the old hole and drill and tap a slightly larger hole. Hope this helps and feel free to ask for more info. 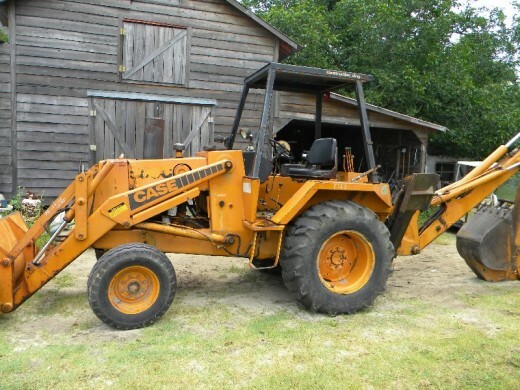 I'm trying to get a mid-80's era former military back hoe / front end loader back in working condition. The official name is a FLU 419 SEE. 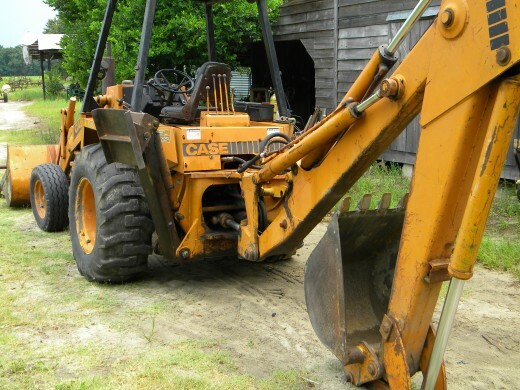 The back hoe part is a Case 580 D. So your article was a good find. There was a bit of chrome missing on the bucket cylinder, and the right dipper cylinder was leaking like a sieve. I have a new rod for the bucket cylinder, and the seal kit for it. I did not find the locking bolt on the bucket cylinder and had to drill it out when the head twisted off. I will need to drill and tap a replacement. Other than that the bucket cylinder came apart fairly easily and the gland nut moves easily on it. The dipper gland nut would not move so after I removed the piston bolt I screwed it back into the cylinder and winched it apart. All the seals in the gland nut just crumbled as I took them out, so I don't have the luxury of seeing how they faced as I pulled them out. Long introduction (sorry) I have a few questions you might be able to help me with. 1.) Should I go ahead and redo the other boom cylinder while I am at it or leave well enough alone? 2.) The inside of the gland nut on the dipper cylinder has a lot of rust. I am weighing my options on how best to remove it. I have been thinking about using electrolysis because it is pretty tight inside the gland nut for other methods. 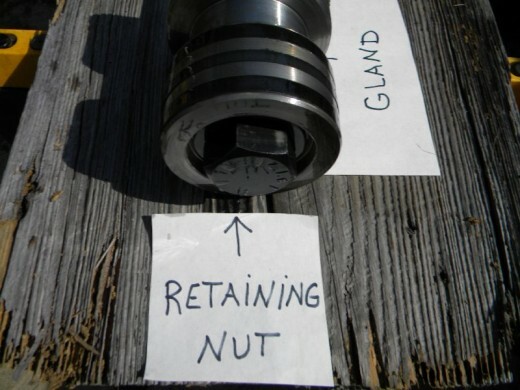 I think the gland nut is zinc plated (not chrome) so it is probably safe to do it. The other idea is buying a Dremel tool or something similar and a wire brush. Do you have any opinion on this, and how critical to seal longevity is getting all the rust out. 3.) Is the little tool to install the inner seals worth the cost. 4.) when I drill and tap the locking screw on the bucket cylinder should I just drill a larger hole in the original, or line the original hole up and then drill & tap for a 1/8" screw at a different location. I don't expect you to have answers to all this, but any you do have will be helpful. Gerry, had the same problem but the trans was low on fluid. Tommy, let me know if you need any help! Nice article, you make it look easier than it looks. I'm going give it a shot. Tony, the rod should spin inside the cylinder without much pressure. Try using a long pry bar of some sort to turn it to the correct position. I had a cylinder rebuilt by my local tractor shop, now the rod needs to be spun 90 degrees so the fitting will connect at the end. It doesn't seem to spin on it's own, is there a way I can do this without waiting to go to town on Monday? jthan, this may be a valve problem especially if the front is operating properly. Can't help you there, William. It depends on the parts and labor required. William, this may be a problem in the control valve. 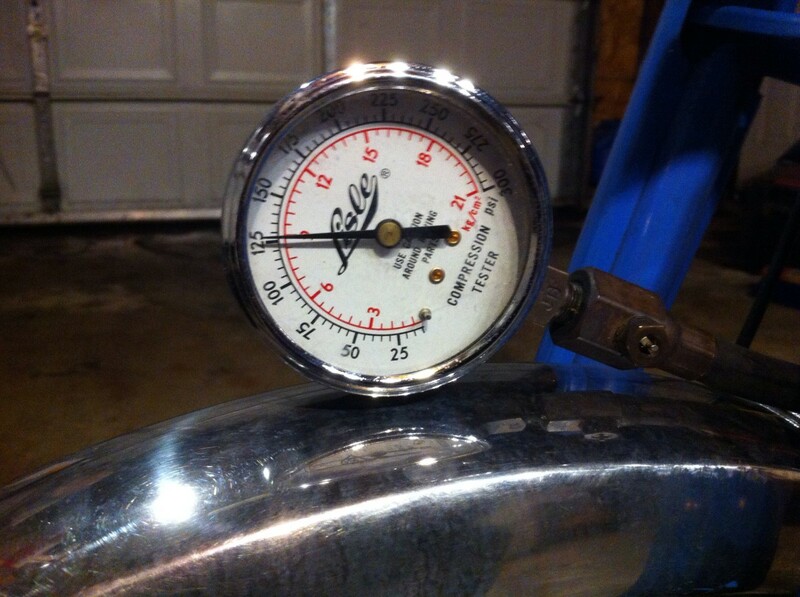 It may not be allowing the fluids to equalize properly. Have a boom cylinder on 555 Ford backhoe. Piston will return all but last half inch, and will not hold up without pressure on control lever...any ideas on my problem!? Thanks in advance. Joyce, you can have the cylinder reamed out if there's a lot of wear on the inside. I seldom use sandpaper during a cylinder rebuild. If needed, What grit size sandpaper is best for using when rebuilding a hydraulic cylinder on John Deere backhoe? Sorry Tom, can't help you with this repair job. Gerry, what do you mean by "bottomed out?" Hi, the stick cylinder on my 580 Case has bottomed out, can I get the cylinder moving again without taking it apart?, and will there be any damage?, thank you. Hi Bill, sometimes if the cylinder's piston rod is extended to it's full length it makes it difficult to turn the gland. I recently ran into the same problem and had to carry the cylinder to a nearby shop to have the gland removed. It was rusted because it had been out in the weather and not used in a long time. Hope this info helps. Have a 580 k hoe. Trying to get the gland nut off of dipper cylinder Made a tool & even with a long bar it will not budge ! I assume you've checked the transmission fluid level, David? It doesn't take much oil to top the fluid up, but mine will just stop pulling when the transmission fluid gets a little low. At first I mistakenly though everything--including the transmission--was powered by the hydraulic pump until the machine stopped moving. I then found the trans dipstick and found out differently. I don't know where the trans filter is located, if it has one. I have a 580 case. seems all parts move except the machine itself. is there a frozen filter or something. I have an old Case 320 backhoe, circa 1950. The bucket cylinder is leaking where the rod passes through the gland. I've removed the cylinder from the machine, and removed the 4 cylinder tie rods which were fastened to the glands with 1/2-20 hex nuts. The cylinder glands are pressed into the cylinder bore and sealed to the bore with o rings. The tie rods hold the glands in place. The glands are not threaded. I was able to pull the rear gland (the end without which the rod passes through) off the end of the cylinder by holding the rear gland with a chain fastened to a tree, then pulling on the rod with a tractor. The front gland and rod stayed fastened to the cylinder. Now I am stumped with how to get the front gland off. Do you have any suggestions on how I should proceed? Are you using an old spline to be sure the clutch plate is aligned properly, Roger? I am putting my clutch back in my 580c backhoe and it's not going in correctly, any suggestions? After placing the rubber seal in the groove you must flex the odd seal where it is broken and it should slip over the piston if you have the correct seal. The middle seal in my photo is segmented and has to be slightly stretched where the segment appears before it can be placed in the middle groove over a rubber seal. This seal may not be exactly like the one on your piston however. Hope this helps out, Chase. Hello Chase, can you point out a similar piece in the above photos? 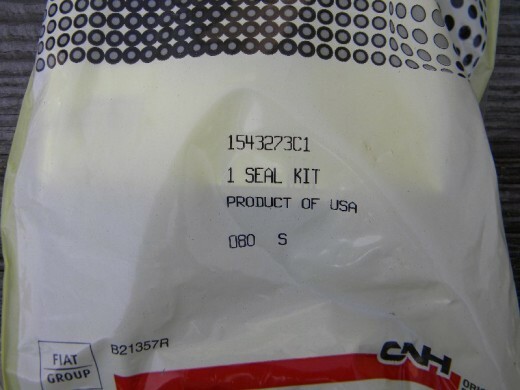 I'm not sure which seal is giving you the problem. Hello MizBejabbers, backhoes seem to need constant work on them to keep them going, but are very handy to have when you need them. I still have no brakes on mine to speak of and simply use the forward/reverse shifter in a pinch. Gonna repair the brakes when I get the chance, but like Mr. B, I don't get around like I used to. Randy, as a commenter put it, a repair manual probably couldn’t have stated it better. We have a 1973 Ford with backhoe and front end loader, I forget the model, but it is homogonous. When we bought it, Mr. B had to replace all the hydraulic hoses on it. We bought it, sight unseen, to dig up and repair our underground house (can’t link to my hub, of course, but there are some photos of the backhoe working from the side). Mr. B said it was too big and heavy to risk putting on top of our house, and I urged him to sell it and buy a smaller one. But alas, we’ve had it for 10 years and the house still hasn’t been dug up and still leaks. It now needs a brake job, but Mr. B has knee replacement surgery pending. We may have to sell it as is because his days of playing with the backhoe may be over. 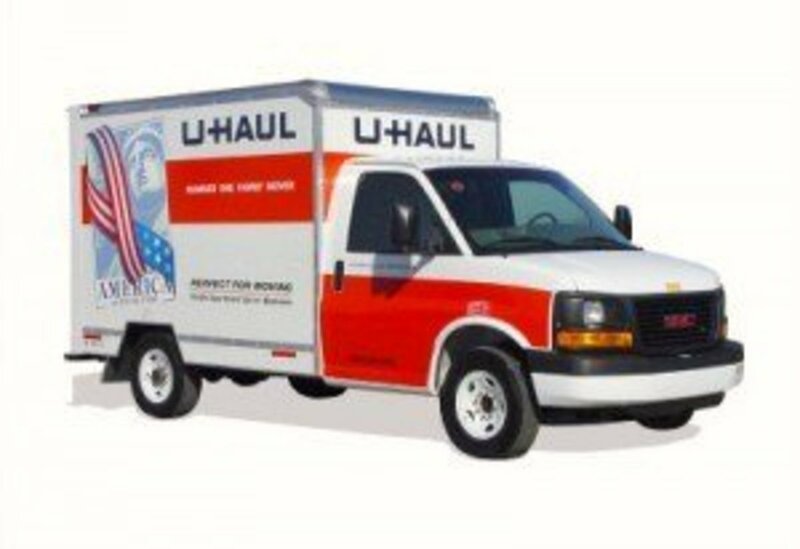 Voted you up and useful. Fantastic, Tom! Always great to hear a reader's hydraulic cylinder repair or rebuild went well. Good to know a pipe wrench may be used on some cylinder glands as making or acquiring special tools can take time and money. Thanks again for reporting your success and glad to be of assistance. Randy...... like you I'm late getting back on here. I rebuilt my hoe boom cylinder the same day I first wrote on this page. All went great. I used a 36" pipe wrench to back off the gland. It went really good too. just have to be very careful not to slip off that narrow edge of the gland nut. thanks again for the help. Sorry to take so long getting back to you Tom, but was away playing a rare game of golf today. Don't ask what I shot! LOL! Please do come back and report how the repair job went as others may benefit from your experience. I appreciate your kind words about my father as he was a great man and you are correct in that my pride for his service is hard to measure in words. Thanks so much for reading and commenting on this article, it makes writing it more than worthwhile to me. Thanks for the fast response Randy. I will let you know how my seal replacement goes. I'm hoping my good fortune or mistakes will help others who visit your page. I also want to mention I read the blogs about your father and the other WWII vets. There are still a few around ( saw a pic of a guy yesterday on the news that survived the Arizona). I wish alot more of us appreciated those men and women that served, perished and survived that time. We are so previliged to have all that their sacrifices have given us. I can only imagine your pride of your father. Great stuff. By the looks of the help you offer here it looks like he raised a good kid. Thanks amigo.... now off to the hoe! Hi Tom. If you are sure you have the correct seal kit and pay attention to how the old seals are placed I foresee no problems with your repair. As long as you don't mar the threads securing the gland to the cylinder, a pipe wrench may be used if you think it will do the job. Hi MF Man. 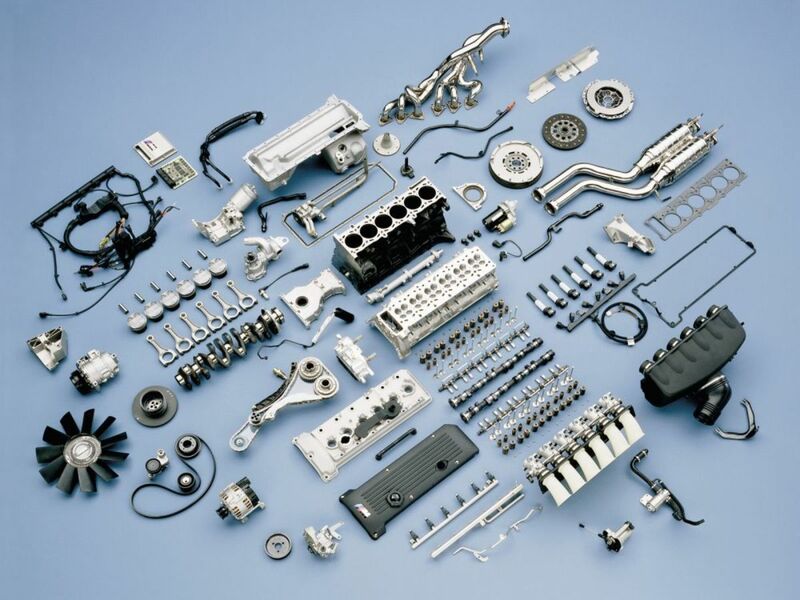 Yes, you may find some parts numbers when you dis assemble the cylinder. You should also be able to use a micrometer to find the correct size seals for it if you cannot find the make of the cylinder. Around here we have several places which can match the parts up but not sure if that is the case where you are from. Look online and good luck with your repairs. Thanks for the question and for reading this article. Hey guys! Great post-article, I don't have the Case(as pictured here,wish Idid) I do have a Massey Ferg 50A tractor...what a tank! Up to this time I've sent out the cyl to be rebuilt. However now , I may tackle this on my own! OK that said, everybody sittin' down? I also have a Massey Ferg 20hp compact tractor. It was bare so I bought a Yanmar with a front end loader and a PTO run backhoe! I transferred those two things to this Massey...works great! sold the Yanmar bare with finish mower! Ok that's the history now the fun part. I've got NO IDEA what the make of my backhoe is? I can't find plates or names anywhere! All I want to do is rebuild a ...looks like a 2 inch cyl for the boom. Will there be a number on that cyl? if so where do I look with all that paint? Will that help me get parts? If not I don't mind takin' apart first and layin' all the parts in order...and messure them for the fit of seals...rings...what have you. Is there any site that will sell by measurement? Many times I've gone to Napa with seals and u-joints off ole' vehicles and we messure it right up!???? Thanks, any ideas here appreciated! MFman! You will have a long and fruitful life. Ha WD! I can't see you spending your life trimming palms. Maybe reading palms I could believe. LOL! Yes, this hub has garnered almost 70,000 views so far and has sold quite a few products too. It used to be ranked #1 on a Google search before I got slammed a year ago but it still gets fair traffic now. You may be like me. My dad said I could tear up an anvil in a plowed field. :) Thanks for stopping by, Chip. How did I miss all of these how to hubs? They are brilliant. That's the gig here, right? You should be killing it with this one. I worked for a landscaping company for 6 months once (between jobs, freelance work scarce). The owner got mad when I tore up his backhoe clearing traveler palms (grow everywhere as well as along underground) and gnarly junk like that from a pristine piece of scrub habitat. It looks like it needs to be cleared and developed to Yankees. We were clearing it by hand with an illegal crew. I saved him two days of illegal labor pay before I broke the thing. It was the first time I ever used one. They left it at the site and one of the crew knew how to start it without the key (no problemo, amigo). He showed me how to work the levers , but refused to do it himself. He wasn't as dumb as I look. I did okay until my borderline dyslexia caught up with me. On the upside, the Mexicans got a good laugh. I wish I had this hub. He would have never known. But then, I might still be trimming palms. Ha! Welcome to the world of construction and farming equipment, Bill! Fix one thing, get ready to repair another! But it's all part of the business! Thanks for your report and good luck getting going again! Toys for boys are indeed expensive! LOL! Thanks so much for this info, prariecreekbill! Since I've never ran into this problem before your response will no doubt help others experiencing the same thing. I know what you mean about slowing down a bit, Bill. The mustard seems harder to cut now at my age--61--than it once was!LOL! Thanks again and stop by any time! Thanks for the response, Bill! I would think your friend meant the pin because there's no danger of ruining the yoke. 15 degrees! Wow, I have the A/C running at the moment! Please do check back when it's a bit warmer! Hello PRARIECREEKBILL! I have observed some of these being spot welded instead of using the "C" clip to hold the pin in place, but I assume you would have noticed this before posting here. I've never had any problem with this so I can only make suggestions at this point. 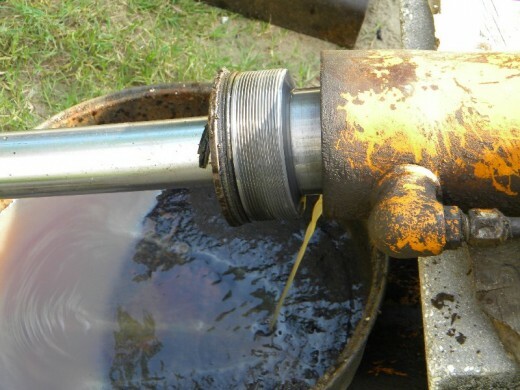 While heating the pin is a last resort, this may be better than beating or using a press to remove it because it may break the yoke of the piston rod which will require a bit of cash or a new cylinder to repair it. I would heat the pin, not the yoke, if heat is needed. Please check back and tell me what you finally did, if you don't mind. This is a new one on me! Thanks for the question and for reading this article. @Victoryfiber-It might be trapped air causing this but I've never ran into this particular problem before. You might try slightly loosening the hose from the cylinder with the engine switched off to see if the cylinder will expel the trapped air. I will check for other problems in the meantime. If you find the problem please let me know what you discovered. Thanks and good luck! I had the cyl on my front end loader rebuilt (backhoe)Installed it but my bucket will not come all the way down to the ground it misses by 8 inches. What would cause this. Air? and if so how do I bleed it out? Thanks so much for your kind comments, Douglas. My dad was indeed a great man and I hope he was proud of me when he was alive. I think he was okay with the way I turned out too! And thanks for telling me the article was easy to follow, as this was my main focus. I wanted to help small farmers and other machine owners save money and time on hydraulic repairs. You have a great old machine in the Case 580SE. A little care and maintenance and it will last longer than you and I will! LOL! Thanks again and good luck! Please feel free to ask me for any info I may be able to provide concerning your Case. I wish I could see the gland to give you better info on your problem. Are you sure you have the correct kit or that the gland isn't a 2 piece type gland? I have ordered what I thought was the correct seal kit, but found out later there were several different types of cylinders used for the same purpose on my Case. Some of the gland seals are very difficult to slide over the gland and into the proper groove. You'll think they won't go, but if carefully maneuvered, they will slide over the other grooves without breaking. The Case dealer near you can give you an enlargement of the parts and possibly advice too, if you think it would help. Any more info you can give me might help me better understand the problem, John. Feel free to ask me here. Thanks for reading and good luck on your rebuild! @ G Haady- I really appreciate your comments, G! I'm glad to know these articles are of help to those who want to repair their own equipment and save both time and money. Plus, many of us enjoy keeping our old machines going and learning new repair techniques. In case you didn't notice, I have another, more detailed hydraualic article here on HubPages. Well, what can i say. I just bought a 2nd hand super l case machine 2 months ago and today i got the boom hydraulic gland off few cm from its track. I'm cracking my head to find a tool to tighten it up and thanks god I find this page about making my own DIY set. Thank to you Randy Godwin for your article. It is very helpful and easy to understand. Those pictures are brilliant! It's a real pleasure to have people like you over the internet. Many thanks. My father landed on Omaha Beach on D-Day, fought in the Battle of the Bulge under Patton, and helped free the Nazi death camps. How could I not have learned some bit of solidity being reared by him? Yes, our fathers were a different breed of men! Thanks again LJ! Men, like our fathers are what made this country great, and strong. We need to carry on that iron-hard tradition of integrity, ethics, and quality! I knew there was something solid about your character, just from reading your comments in the forums. Your dad reminds me of mine, LJ! It never got too cold or hot to work and only a few holidays were exempt from work day. I always though Thanksgiving was for digging sweet potatoes! Running a farm impels one to learn how to do many things such as welding and machine repair. Thanks for bringing back the memories of my dad and for commenting on my article! My Dad had a land clearing business, and we did all of our own repairs. When I was 10 he put a rod and +lead in my hand, had me learn to weld up those front idlers for the tracks on the Cat doziers. The East Texas sand really wears out the parts. 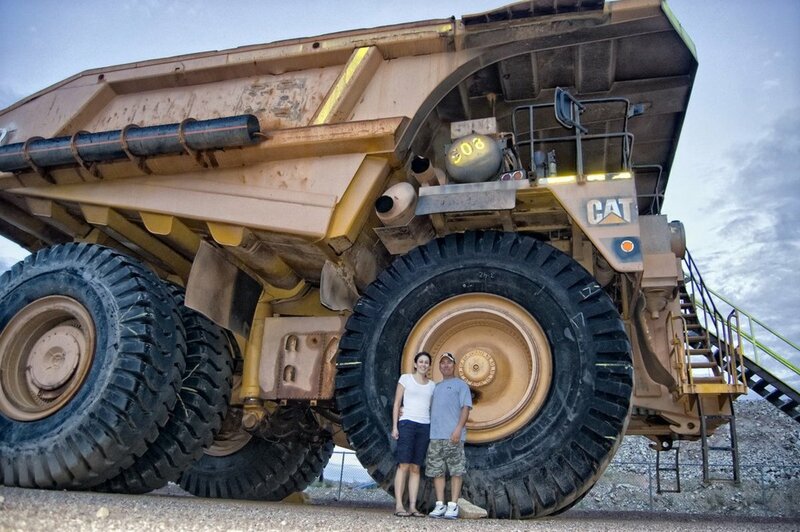 We single handed replaced a hydrolic clutch in a D-8 Cat on Thanksgiving day when I was 13. It was freezing cold, but that's just the way my Pop was, and I'm glad I was raised that way because everything now is a piece of cake. Thanks for sharing this information! It really brings back memories!